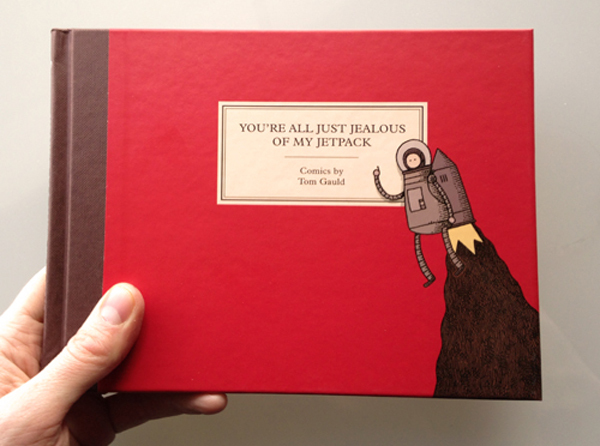 Last week I headed along to Analogue Books for a talk and signing by cartoonist and illustrator Tom Gauld. Scottish-born Gauld has just published a collection of cartoons drawn for the Guardian newspaper called You're All Just Jealous of my Jetpack, and a group of about 20 people squeezed into Analogue on Thursday evening to hear a bit about Gauld's work over a beer. The cartoons featured in the collection are all drawn to sit on the letters page in the Guardian, so always take their inspiration from the comments and complaints of Guardian readers. Though their starting points come from readers' rants, they sit really well out of context and are really funny all in their own right. 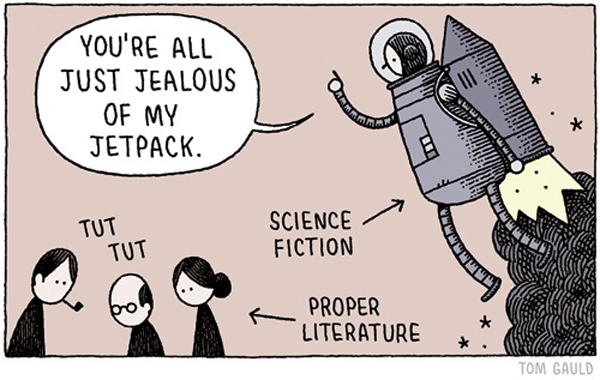 See below for the cartoon that the collection's title comes from, and read more cartoons over on Gauld's tumblr page. The book is available in store in Analogue and from other retailers listed on Gauld's site.